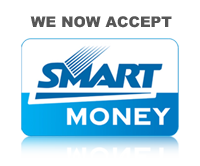 If yes, Smart just might reward you with Php 50,000 just by accepting Smart Money as one of your payment methods! Not bad at all! Now, I wish I had some entrepreneurial genes on me and I wish I had an online store so I can join! Good luck if you're joining! Day 15: What do you dislike most about yourself?